PGRHR has our own compound behind the hall that we train. We do real life scenario reenactments, so this means every week we have a different vehicle to cut apart with the tools we have. By doing training on vehicles, as well as our classroom training, we gain a deeper understanding of how to deal with real-life scenarios. We have 2 different training nights so we have smaller groups and each member gets more of a hands on training. We train on Wednesday and Sunday night every week. We train to reposition vehicles to give the best chance possible to those trapped. We don’t want to compromise the safety of those inside the vehicles. 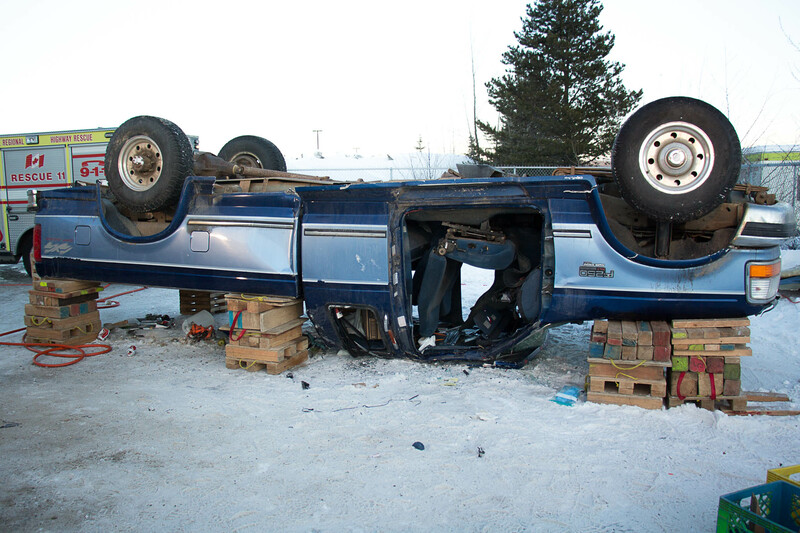 Here is the end result of our training to reposition this pick up truck. As you can see, access to the patients would be much easier now. What Do We Train For? 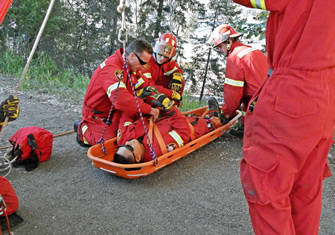 We train low angle rescue and the ability to extricate patients from a motor vehicle incident. We are unable to train for the emotional aspects as it is always variable. Our chief or acting officer looks after his crew in this situation. Our training in the back compound is an awareness. We are not able to train for all aspects i.e. weather conditions area of crash and other agencies at scene. We use a number of different tools from hydraulic cutters and spreaders to reciprocating saws and chains and come alongs. We educate ourselves about the latest technologies and obstacles in our field. From new metals being used in the manufacturing of vehicles to the tools to deal with the advances, we spend time researching and learning. Anyone over the age of 19 and is in good standing with the community is eligible to apply. It takes quite a bit of dedication to volunteer with PGRHR; the newer members have to do a substantial amount of training to become eligible to get on call. 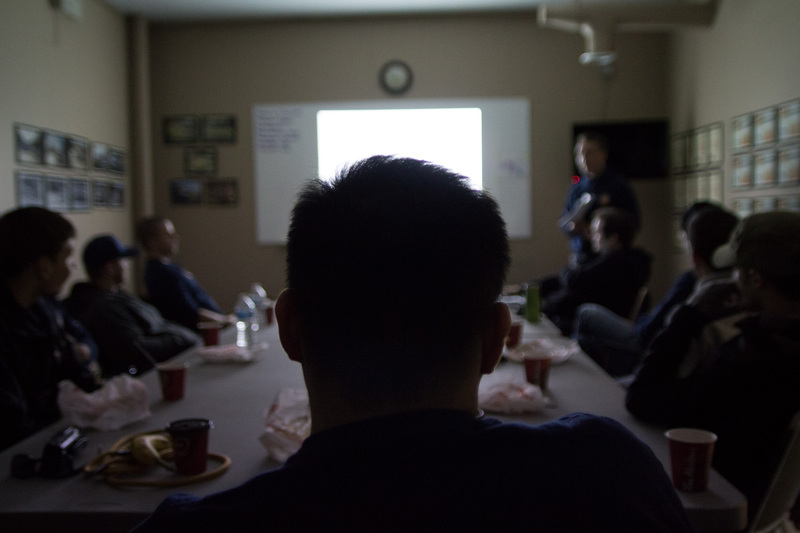 Our training sessions happen every Sunday and Wednesday night. As well as training, there is maintenance. The members must do quite a bit to keep the vehicles able to respond. Our members do truck checks weekly to make sure all gear is in proper working order and will work when needed. The trucks themselves need to always be in top shape. Once a member is on call he must be ready at a moment’s notice, whether it is 3:00 am and -40 degrees or a nice summer day on a long weekend. If you are on call you have to be ready all the time. 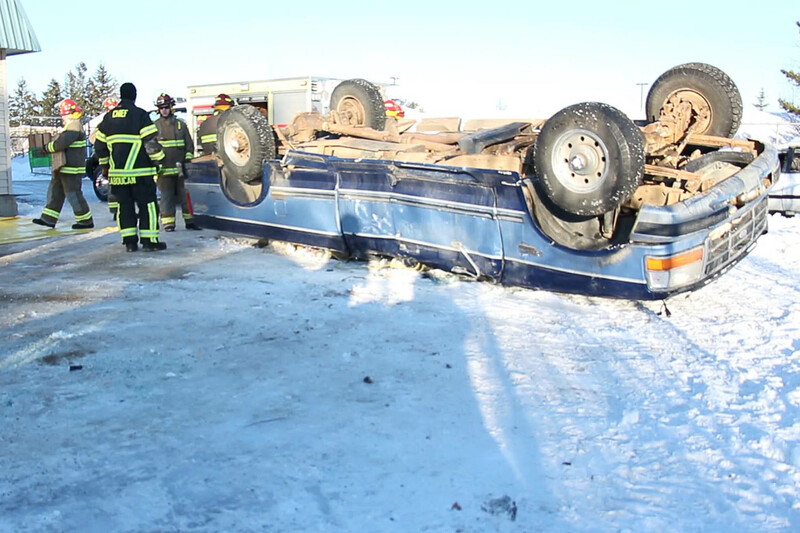 When Highway rescue first started they used a cargo van that was equipped with hacksaws, crowbars, and come alongs. They then slowly upgraded the equipment as well as had extrication coveralls and used a newer converted van. 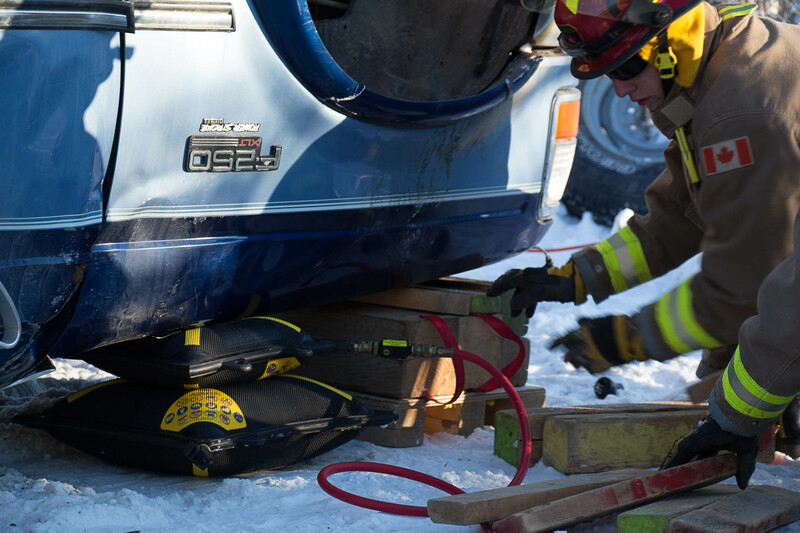 Now Highway rescue has the most advanced extrication tools. We us hydraulic cutters (Jaws of Life) spreaders, reciprocating saws as well as the most advanced tools used for stabilization (rescue 42). Our Personal Protective equipment has even been upgraded as we have full “bunker Gear” (The same gear as fire fighters). The society also has 4 rescue vehicles, 3 of which are in service (Rescue 11, Rescue 12, Command Unit, and Heavy Rescue – not in operation yet).